This report covers the period 13 March until 9 April 2019. It is on the agenda for the local board business meeting held on 16 April. The last few weeks have, of course, been dominated by the terror attacks in Christchurch and the community response to the massacre of 50 innocent people. 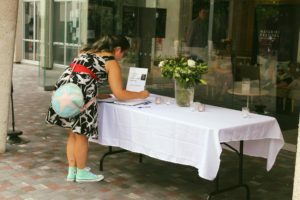 “Waitematā Local Board acknowledges the victims of the Christchurch terror attack. We send our deepest condolences to the families and friends directly affected by the shocking, tragic and devastating mass shooting carried out at two Mosques. We acknowledge, love and support the Muslim community in Waitematā and across Aotearoa as we come together to stand united with the community in grief and solidarity. 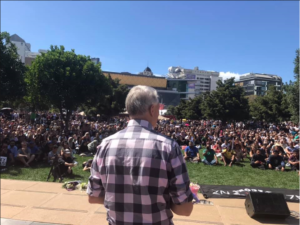 At the Vigil in Aotea Square on 16 March (photo right), a defiant and passionate Mayor Phil Goff spoke about his determination more than ever to give nothing to racism, and to ensure the world knows that Auckland and New Zealand is wonderfully diverse, where people of all ethnicities and faiths are welcome. On 22 March I was in Wellington for a National Council meeting and joined LGNZ staff for the two minutes silence observed across New Zealand. 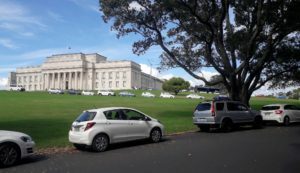 Auckland Council staff assisted in providing support to Ponsonby Mosque who were overwhelmed by the numbers who attended NZ Stand Together for Friday prayers and the evening gathering on one week commemoration. The Neighbours day event hosted by City Centre Residents Group on 23 March provided an opportunity to come together for a shared lunch at Ellen Melville Centre. It was especially significant to hear from Imam Wajahat Khan as the centre hosts the Muslim community every Friday for prayers. 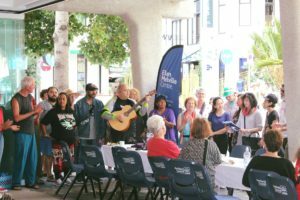 Local Board member Richard Northey and I were both invited to speak (in the photo right: Auckland Street Choir singing at this event). Love Aotearoa Hate Racism hosted Kia Kaha: Stand Against Racism in Victoria Park on 24 March and on 29 March I attended Kotahitanga Together – Auckland’s Remembrance for Christchurch at Eden Park with around 2,000 Aucklanders in remembrance of those who lost their lives in the Christchurch mosques attack. 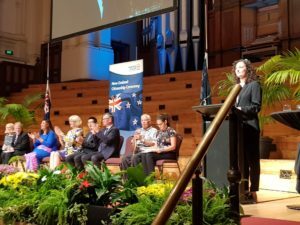 The afternoon’s line-up included Dave Dobbyn, Lizzie Marvelly and children from Islamic schools across Auckland singing the national anthem, and a haka and waiata from children of Kowhai Intermediate. The Mayor, FIANZ President Br. Mustafa Farouk and Sonny Bill Williams, were among the guest speakers, and the event MC was broadcaster Miriama Kamo. “On Friday morning (15 March) we heard the global call from 1.5 million young people to act to save our planet. By Friday afternoon, New Zealand quickly realised that we needed to act to save ourselves – from discrimination, intolerance and racism. Today as we gather to discuss action on climate change, I call on you all to use this same sentiment to act for good in every aspect of our society. 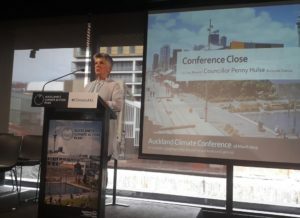 To be resolute to act to create a better future for our children, for Auckland and New Zealand.” – Cr Penny Hulse opening the Auckland Climate Symposium on 18 March organised by Chief Sustainability Officer John Mauro and team. The day started with Otene Reweti‘s poignant mihi whakatau providing an opportunity to reflect on the words of the national anthem. 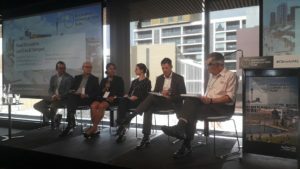 The symposium brought people and sectors together to build cross-sector momentum on climate action and feed directly into the development of Auckland’s Climate Action Plan. As summed up by MC Rod Oram the first imperative is to give expression to who we are as the fourth most diverse city in the world. The response to climate change must be about a wider purpose of addressing social justice, structural inequality and poverty. Council’s annual budget consultation finished on 17 March. 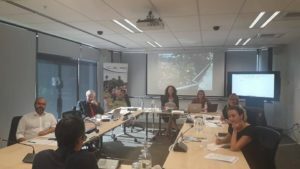 The local board ended our engagement with a formal hearing on 14 March. We heard 13 presentations in total from a range of groups and individuals. Thanks to everyone who has given feedback. We are listening and always keen to seek out the views of the community. In the photo Adam Parkinson is presenting to board members at the hearing on behalf of the Auckland City Centre Residents’ Group – CCRG. Nominations for the Waitematā Local Board Good Citizens’ Awards opened on 18 March. 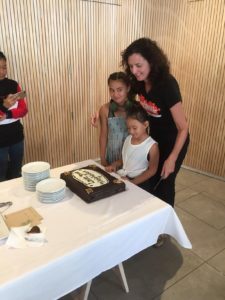 We immensely value community-led work and our Good Citizens’ Awards is one of the ways we celebrate and give recognition to those who make Waitematā a great place to live. 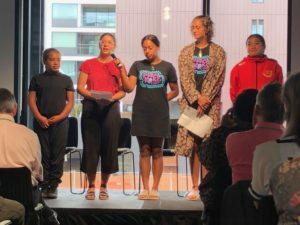 We are seeking nominations for individuals or community-led organisations working within the Waitematā Local Board area until 14 April (Our Auckland Attachment 2). I have been providing updates on Western Springs following complaints about the water quality of the lake and maintenance of the park. I received the following update from Community Facilities on 1 April. There has been a significant amount of work going on at Western Springs lately. Treescape have been through and done a lot of tidying up from last year’s storms as well as taking out some significant additional dead or dying trees. The bins and handrails are all newly painted and the playground toilets are up and running including a minor revamp to the electrical equipment. The water quality is being closely monitored by Healthy Waters and they are regularly removing rubbish and tree branches from the lake and clearing out the weirs weekly, a recent bathymetric survey was undertaken with sediment levels measured and lake depth mapped. Any deterioration of the park assets such as paths and playground will be addressed by the Western Springs Lakeside Park Development Plan (coming to the board’s May business meeting). The park is audited weekly and complying with contract specs, apart from the goose poo on one section of path, which I believe is what people are perceiving as a lack of maintenance. I have asked the contractors to increase the level of cleaning of the section of path on the northern side that is bombarded by geese, which will be waterblasted daily if required. Wildlands have been asked to prepare a report on our options for Geese management for discussion with the local board. In other park news, the Meola Reef Reserve Te Tokaroa Development Plan which provides a 10-20year holistic vision for the area is now online. Meeting with businesses impacted by CRL construction on 3 April at the invite of Sunny Kaushal (owner of the Shakespeare Hotel). It was very concerning to hear about their very stressful situations. I’ve been following up with CRL to find out what has happened to the development response that was meant to have been put in place as well as activation of the street to encourage more foot traffic. 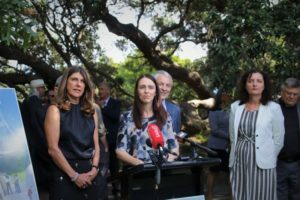 Announcement of the National Erebus Memorial design – Te Paerangi Ataata- Sky Song- by the Prime Minister and Mayor on 5 April with Ngāti Whātua Ōrākei in Sir Dove Myer Robinson Park. I attended with Deputy Chair Shale Chambers. Kathryn Carter (photo right) spoke beautifully about the significance of the design. She was one of two family representatives on the selection panel who chose the design for the way it touches the land lightly leading into the sky (with many thoughtful features). Importantly all the victims are acknowledged as well as the responders and Justice Mahon who found the truth about what happened.